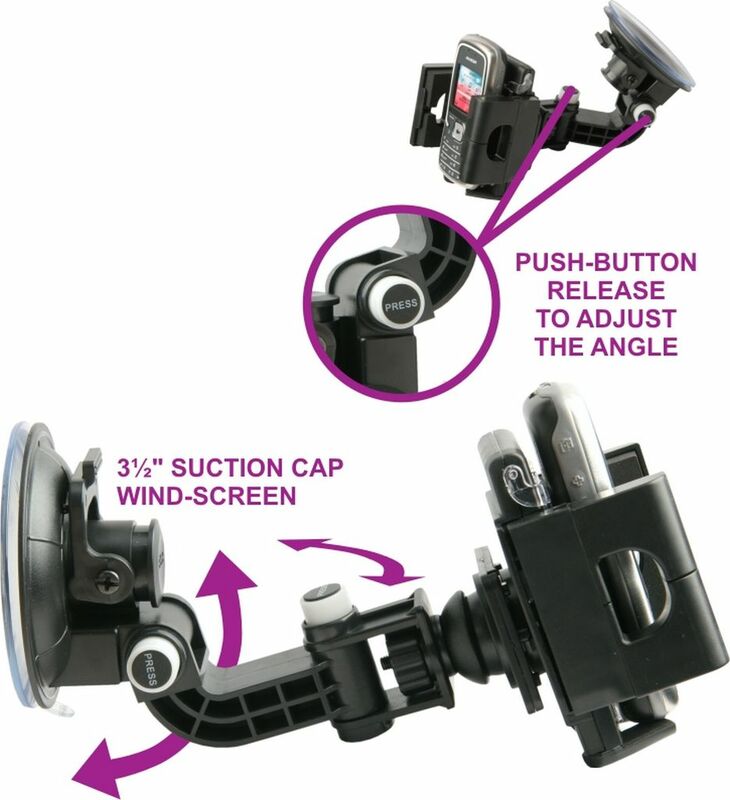 90mm Suction cup grip secures to the windscreen. Arm angles are button release & adjust type. Heavy-Duty design universal cradle 105mm To 45mm.